Don’t believe those trippy montages of dancing devils and random gorillas: The way Micky Dolenz tells it, there wasn’t that much monkeying around when he, Davy Jones, Mike Nesmith and Peter Tork filmed The Monkees, that late-’60s stew of jangle pop and TV shenanigans. “We never had time to party,” says the 68-year-old, whose skills as a singer, actor and drummer are only slightly exceeded by his ability to make a great goofy face. Not that there’s been much after, either. The show stopped airing on NBC in 1968, but the band — fueled by such hits as Pleasant Valley Sunday, Last Train to Clarksville and Daydream Believer — lived on in albums, reruns and tours, including a stop this Sunday at Ruth Eckerd Hall. Jones, the British “cute one,” died in Stuart in February 2012, a staggering blow to the band. But the mercurial Nesmith, 70, who’s been in and out of the crew, is back with Dolenz and Tork for the latest go-round. It’s been an emotional time, but like they have for part of six decades, the Monkees prevail. 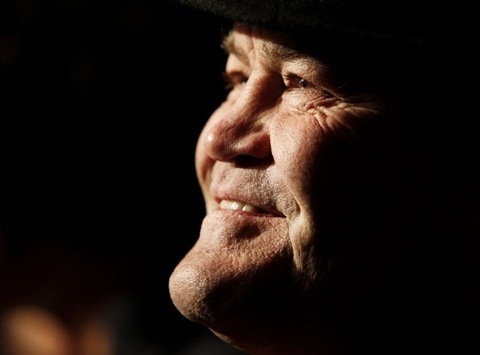 “It’s still bizarre” not having Davy onstage, says Dolenz. “There’s one thing missing, you know?” Jones famously sang lead vocal on Daydream Believer; now, as part of a tribute, the crowd croons the enduringly sunny ballad, penned in 1967 by the Kingston Trio’s John Stewart. This year’s tour will feature video clips from their history — a narrative device a la the recent Rascals show — with the setlist presented in chronological order. More than 30 cuts will be dusted off each night. Alas, my fave Monkees tracks — A Little Bit Me, A Little Bit You; Look Out (Here Comes Tomorrow); Valleri — were sung by Davy, whose songs are mostly being avoided. Instead, the setlist will include hits and a good amount of deep album cuts. You’ll get Mary Mary, (I’m Not Your) Steppin’ Stone and What Am I Doing Hangin’ Round not to mention the deeper Your Auntie Grizelda, Tapioca Tundra and Peter Percival Patterson’s Pet Pig Porky. And, oh don’t forget that psychedelic space-out Porpoise Song, written by Gerry Goffin and Carole King, the theme from 1968′s Head, the Monkees’ cult entry into feature films. Porpoise Song was recently featured in an episode of AMC’s Mad Men. Well, at least Dolenz was told it was. 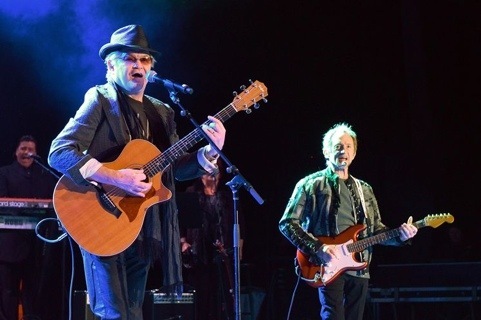 That the Monkees can put on a full fantastic gig without Jones’ tunes is testament to their strength and legitimacy, neither of which is in question after years of fending off critical claims of fabrication and music fakery. Here’s the truth: Dolenz, Jones, Nesmith and Tork were a fake band that turned into a real band — a really good band — the Pinocchios of pop, a quartet that outsold the Beatles and the Rolling Stones during their heyday.